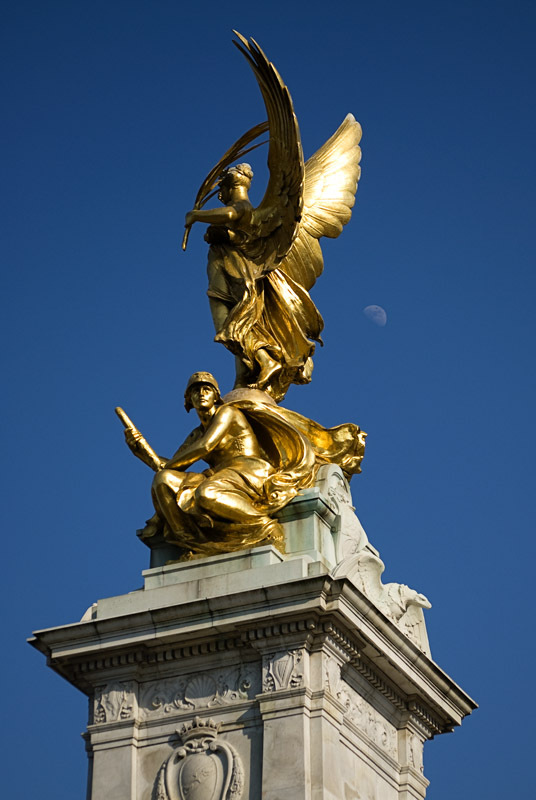 Statues at the top of the Victoria Memorial, in front of Buckingham Palace, in London. Hippogriffs? I like how you caught the light against the cloudless sky—really makes the memorial stand out.